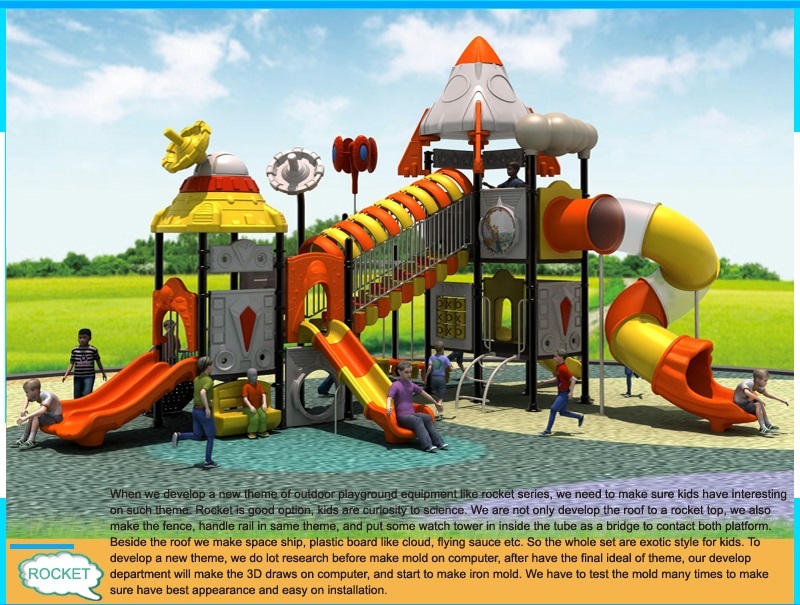 Angel playground are top suppliers in China for playground equipment, This playground in perfect design, symmetrical on both side with Stair, climbing board, S open slide, in middle have 3 lane slide and tube slide. 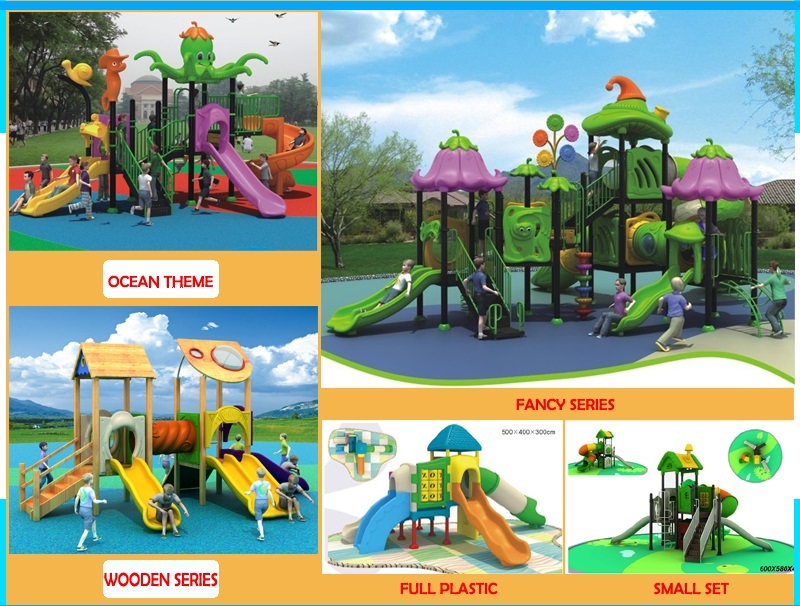 As time went by, outdoor playgrounds have already become a very playing area all over the world. 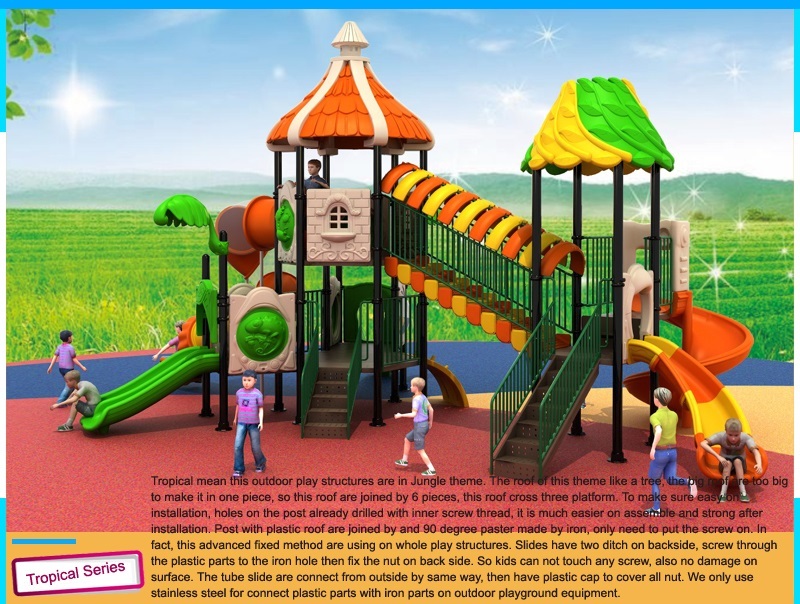 As a result, playgrounds for children are very popular these days. 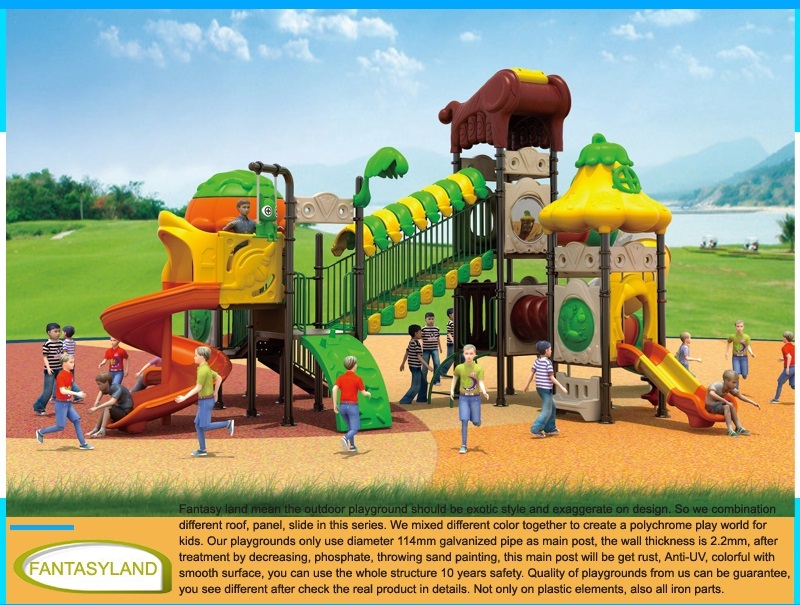 When asked whether outdoor playgrounds are necessary and important for kids, some claim that outdoor playgrounds are not vital and relative to children’s life. 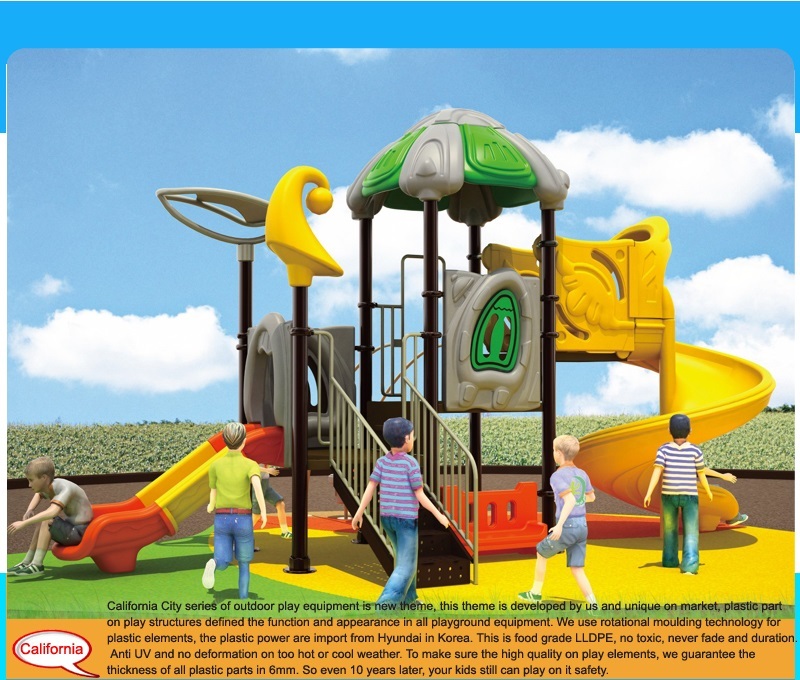 From my understanding, outdoor playgrounds are more suitable and practical than any other toys for children who are active and always inquiring for activities. They are good places to release their natural personality. 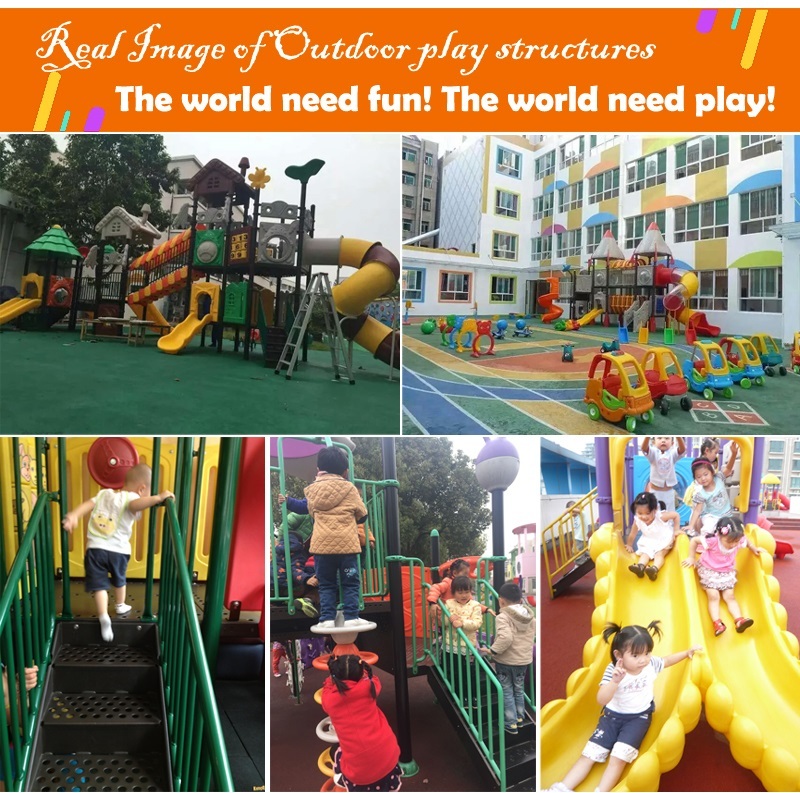 However, because of overlook of most parents and lack of support from social fiancé, more and more outdoor playgrounds are abandoned and are gradually their original function in contenting and attracting kids. 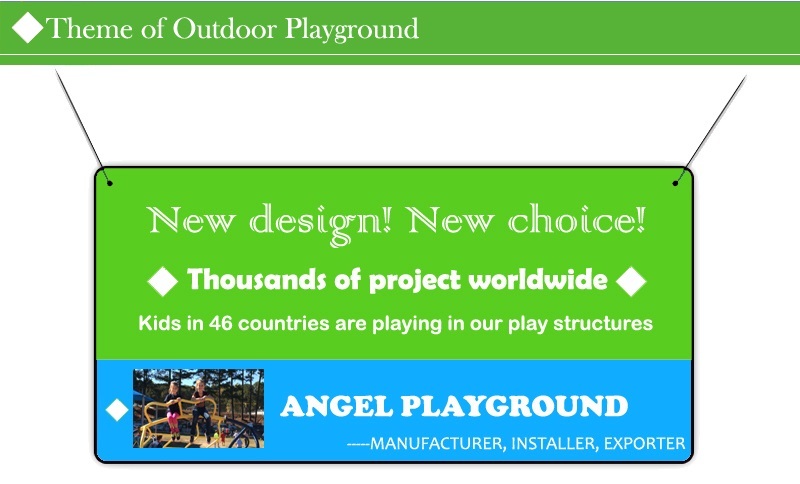 so t strongly insist that more favors should be given to build more outdoor playgrounds. 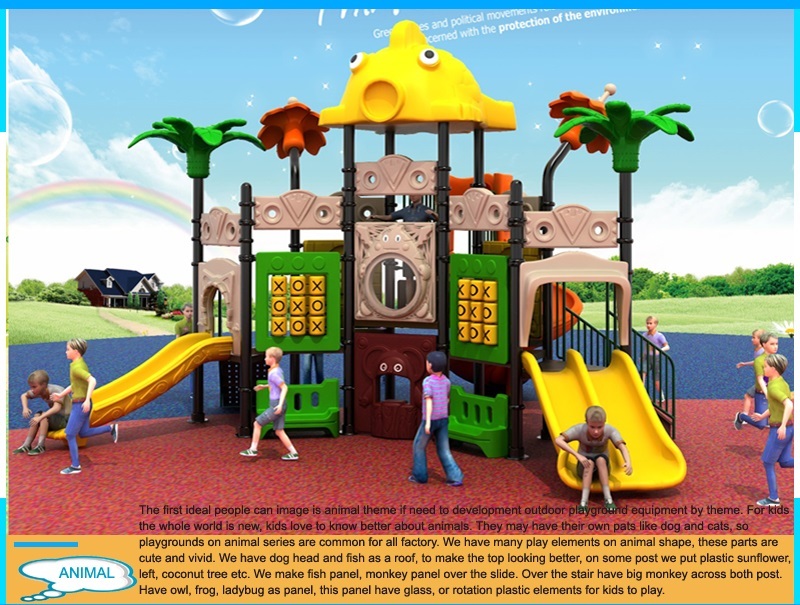 Firstly, outdoor playgrounds provide kids with better surroundings when doing activities with parents or other kids. 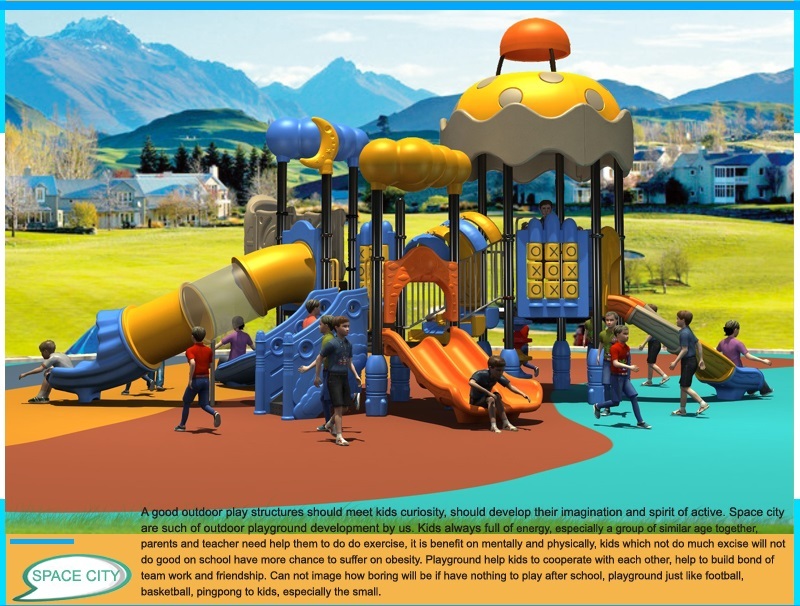 a good playing atmospheres displays the situations of social atmospheres, on the contrary, a genuine playing atmosphere boost the harmony of our society. Parents who don’t have a good relationship with your kids can seize the opportunity to smooth your bad relationship by make friends with each other. 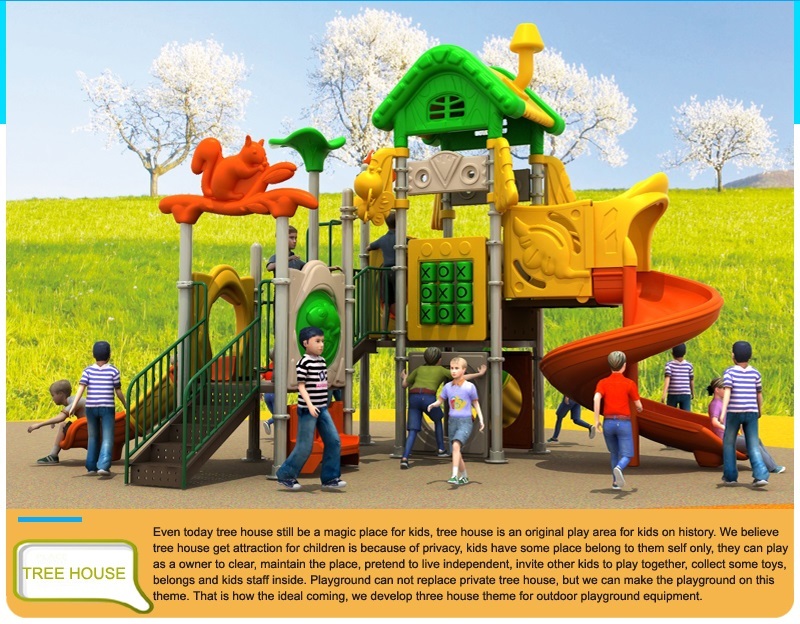 Meanwhile, a good playing atmosphere will keep your kids in good mood and get on well with other children, which is an important skill in their whole life. 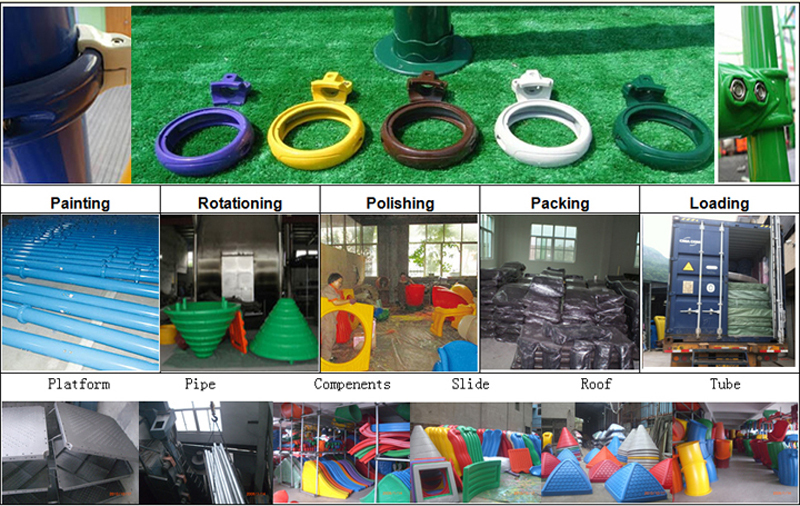 Secondly, more favors from different social groups help to upgrade the quality of outdoor playground equipment. 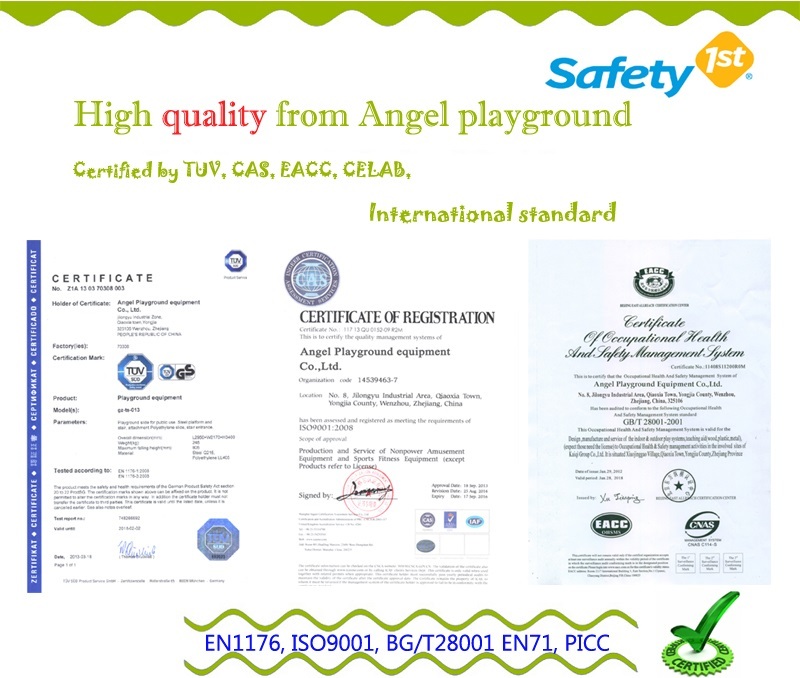 We all know that safety comes first no matter what kinds of activities we are doing, so kids need more protection when playing, because they are not aware of self-protection, so if the quality failed to be assured, then there will be very serious and harmful effect on their safety. In this aspect, favors are urgently needed. 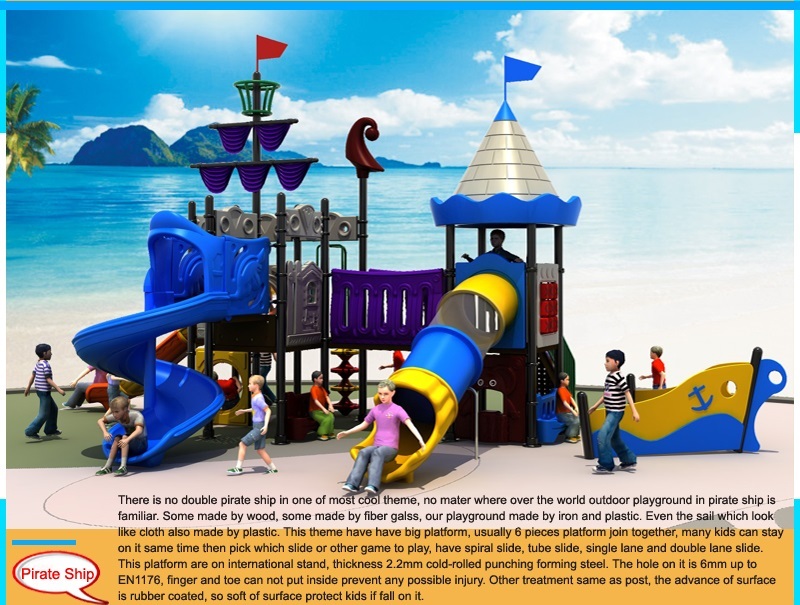 Last but not least, favors given by people play an important role in promising children’s right in playing freely. 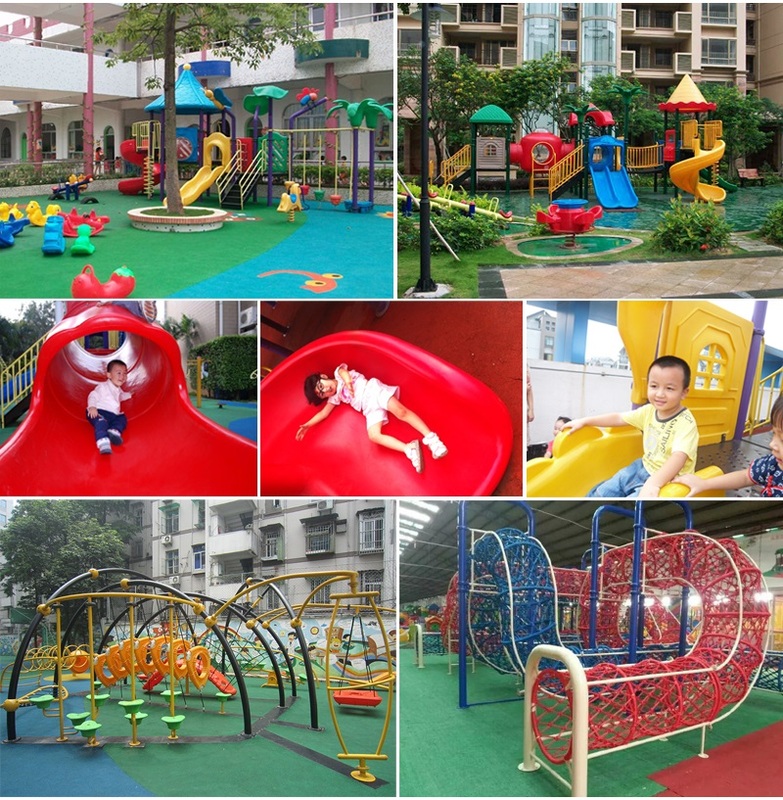 It well received that most parent concentrate too much on children’s education, which deprived their right to play and decide the style of their own life. This is not only unfair, but also deforms the natural development of their childhood, which will no doubt leads to teenage defiance and many other mental problems. 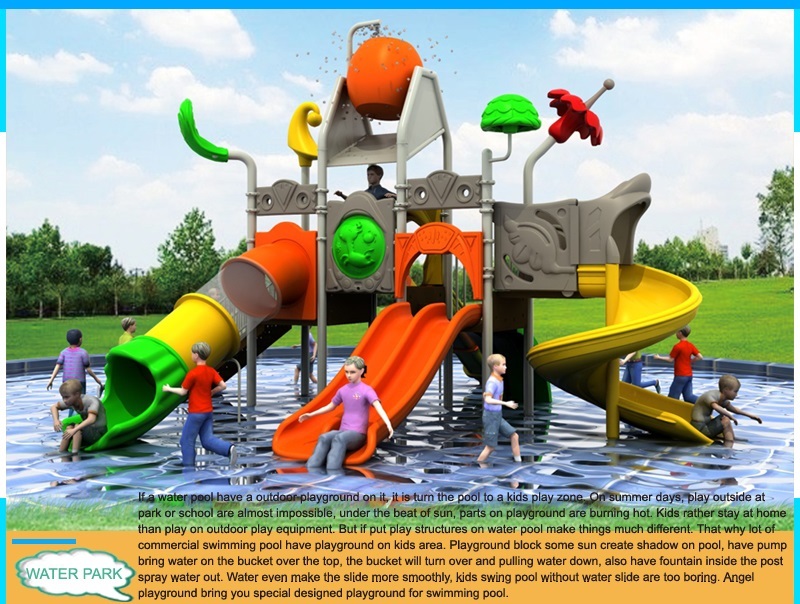 Therefore, people, especially parents, are supposed to favor the project of the accommodation of more outdoor playgrounds in your neighborhood for kids to play. 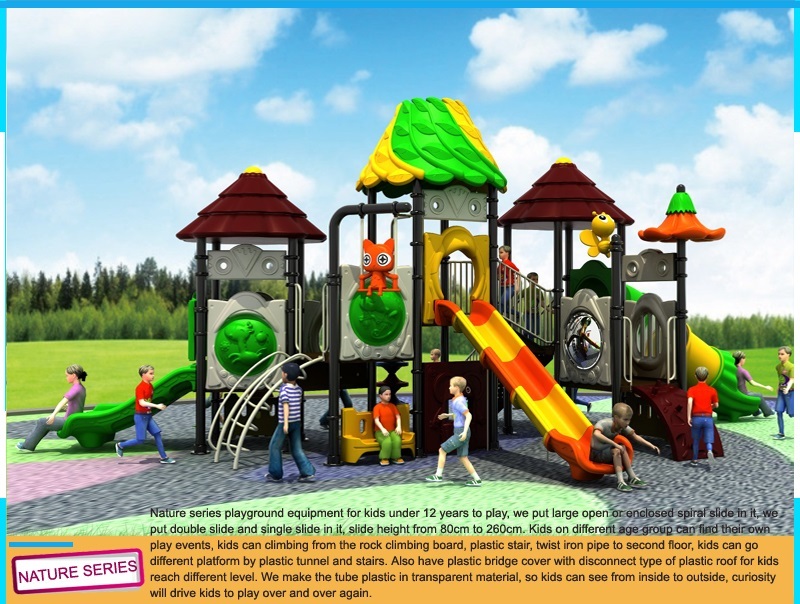 All in all, since outdoor playgrounds can boost children’s ability in exercising and contacting with others, why should we disapprove the trend of more outdoor playgrounds being built?